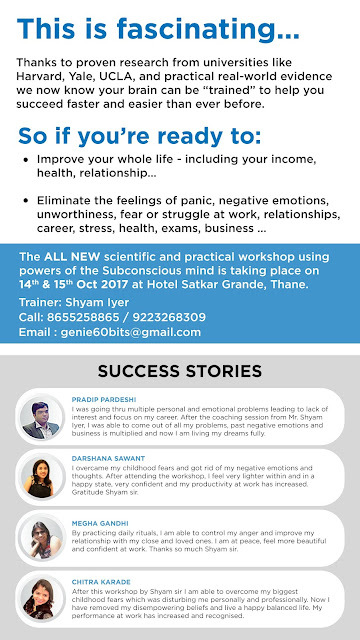 This 14th and 15th Oct 2017 might be the day your life changes forever. We are going to teach you to remove all the mental or emotional obstacles that are standing in the way of your success... so that you can reprogram your subconscious and see your life, career, wealth, and goals in a new light. These techniques and strategies supplement what I teach and actually go even deeper into your brain's "wiring." 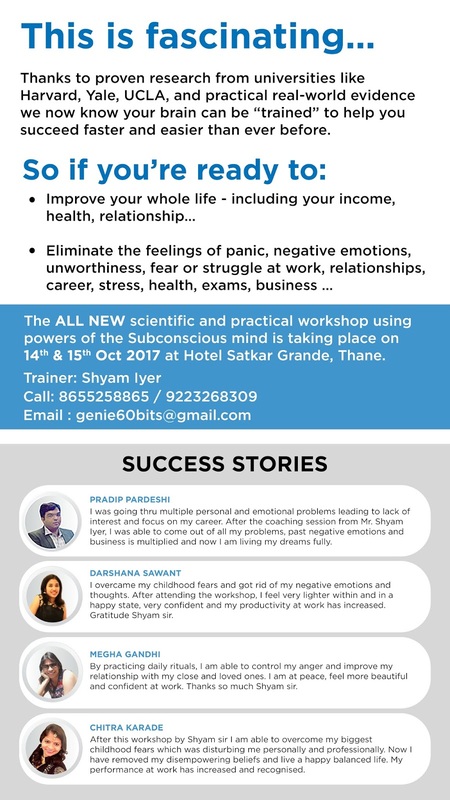 If you've ever felt like you were capable of earning more, doing more, and living a better life, but felt like something was holding you back, then “Awaken the Genie within” workshop might be the event that changes everything for you. Our past participants have experienced phenomenal success and am happy to share their success stories.